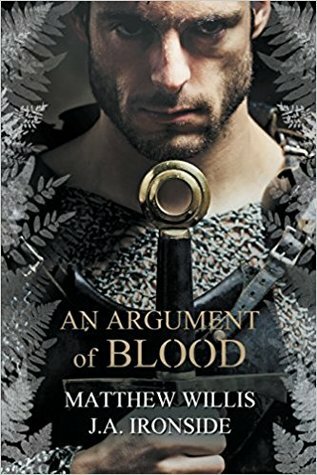 When I suggested – a little casually, truth be told – to the Random Writers group in the Autumn of 2015 that I was considering writing a novel about the William the Conqueror and was hoping to find a co-writer, I should have known two things. First, that the almost immediate volunteer would be Jules Ironside, whose enthusiasm for picking up and running with good and sometimes crazy ideas is second to none, and second, that I what I was getting us into was much more complicated than I thought it would be. My thinking was – and please feel free to laugh as you consider it, gentle Reader – that if each of us wrote half a novel, say, 50,000 words each, we would have a good-sized, substantial historical novel in half the time and individual effort that it would have taken us individually. It would help us fit the writing in around our existing commitments. This turned out to be so insanely wide of the mark that I sometimes marvel that we managed to produce anything of worth at all, but that would be to underestimate my co-writer at the very least. As it happened, I knew Jules was the ideal partner for this endeavour. Though she had never tackled straightforward historical fiction (Jules specialises in speculative fiction), I had read plenty of her work based in convincing historical settings, and I’m a firm believer that the process of world-building for historical fiction uses the same muscles as fantasy and science fiction. But as we found out, not only is co-writing complicated, it tends to make the writing more complicated. The major difference between writing about the early or middle Mediaeval period is that there is so much less written record than later. The sheer size of the gaps in the record are astonishing. William’s first major battle was known to be the cavalry clash at Val es Dunes, but the record can’t even agree when it took place – and I don’t just mean week or month, I mean which year. There’s no clear indication of when William’s children were born, again, variations of years being possible. Given the difficulties in pinning down such basic information as this, there’s little wonder that finding a clear sense of the players’ characters is highly challenging – although this creates opportunities as well as challenges for the historical novelist. As far as William was concerned, I had absorbed a sense of him largely based on his known actions rather than the biographies written during and after his life by potentially biased authors. Brutal, driven, determined – and yet able to command loyalty and support in a way that mere thugs like King John could never hope to emulate. And he had tried to let the English carry on largely as before after he was crowned, before uprisings and resistance led to the gradual imposition of Norman control and culture. Even from this distance, William was a person of some nuance. The first thing we had to do was decide how we were going to decide on a process that would enable us to divide up the writing, and stop ourselves from pulling in separate directions. Given that there were two of us on board, it meant that we could cover both the Norman and Saxon sides to the 20 years before Hastings, and the natural choice was for one of us to write a Norman POV and the other, Saxon. One of the characters had to be William (we knew that the eventual publisher of the Oath and Crown books was looking for a novel that specifically featured William). It would have been obvious to make the other POV character Harold Godwinson, briefly King Harold II of England, and defeated by William at Hastings – but perhaps too obvious, and not giving us the opportunity to explore a wider cross section of society. It would be a shame not to show the events from a female perspective, especially as women in Anglo-Saxon England enjoyed a very different status to their Norman counterparts. Jules came up with Ælfgifa, one of Harold’s younger sisters, about whom intriguingly little is known, and I believe it is this character (as well as Jules handling of her) that is perhaps Oath and Crown’s most striking feature. We decided to start off writing one POV each. In terms of process, we set up a shared group on the Word Cloud online writing community site, and publish our chapters as alternate posts. This helped us keep the parallel stories linked as the narrative progressed, although the final order of chapters did change a fair amount in the final edit. We aimed to use National Novel Writing Month (NaNoWriMo) in November to help us hit the daily targets, and all being well, in that one month we estimated that we would have a first draft of the whole text. This worked well in the first part of the narrative, before the two characters met. Throughout November 2015 we turned out a decent volume of story. Moreover, for me at least, an interesting thing started to happen. As I read Jules’ chapters, they started to influence my own writing. Complexities in the story that I had not anticipated started to weave their way in. A relatively straightforward tale of a relatively straightforward man started to take twists and turns. Jules, being a somewhat faster writer than me, blew through the target at a canter, managing around 60,000 words. I failed to hit the target but still produced around 40,000. We resolved to carry on as we had, but with NaNoWriMo over and real life intervening again, the pace slowed a little. The next big hurdle in storytelling terms was the point at which the two characters met. We would have to start writing each character from the perspective of the other, and it was particularly important that we were consistent here. Jules had the idea to ‘freestyle’ their initial meeting in a scenario we had discussed. We would each take the part of ‘our’ characters and hold a conversation. This not only worked well but was good fun, and something I’d recommend all writers try once in a while. It can really help you get further inside a character’s head. Speaking as ‘William’ I found myself immediately on the back foot to ‘Ælfgifa’s’ sharp wit and struggling to keep up. Most of that first discussion was worked into a scene that appears from William’s POV in An Argument of Blood. We did the same with William and Harold (where ‘William’ found himself, despite his better judgement, won over by the Saxon Jarl’s charm) in a scene that will appear in the second book, A Black Matter for the King. I find a problem can arise when a little time has elapsed since the research phase and when you’re immersed in the writing, that I can start to find it hard to remember if certain incidents were real or if I had made them up. This was even more acute with a co-writer. Weirdly, on several occasions it seemed to happen the other way round. When I’m writing historical fiction, I rarely stop researching until the book is complete. Invariably the need arises to find more detail or clarification on something or other. Even more bizarrely, we started to find examples of real incidents that matched ones we thought we’d created – and then didn’t know if we’d already read about them and absorbed the knowledge into the writing process or in fact recreated something to suit the narrative that had actually happened in real life. The most astonishing example of this backed up a decision we’d taken that we thought was something of a liberty. We’d decided to place Ælfgifa in Normandy at the same time as Harold was shipwrecked there and swore fealty to William – an oath which William later considered Harold had broken. There were plausible enough reasons that meant it was not beyond the realms of possibility, but it was more something that we felt was reading between the lines of history. Imagine our surprise when we discovered a commentary on that most famous of sources, the Bayeux Tapesty (which will itself play a significant role in the books) highlighting a scene involving a Saxon woman ‘Ælfgyva’ present at the oath-swearing! As we became more and more immersed in the 11th century, the tensions and uncertainties of the time were increasingly apparent. We started to wonder how on Earth history had managed to turn out as it did. For the dominoes to fall as they did seemed from the perspective of the time a million to one chance. And so it was that I came to be writing the first draft of the climactic scenes for the two books, the Battle of Hastings, on the night of 23-24 June 2016, when the results of the referendum into the UK’s membership of the European Union were becoming apparent. It felt bizarre to be writing the moment that forged Britain’s strong links to the continent of Europe while the current links were coming to an end. I suspect that some of the shock of realisation of that night crept into the writing. It was, after all, another moment that caught England’s prime movers by surprise. Both were undoubtedly moments which caused the history of these islands, and the world, to take a dramatically different turn. Instead of one novel of 80-90,000 words that came out in time for the 950th anniversary of the Battle of Hastings, we ended up with two novels totalling some 220,000 words, that came out a little later – and I know I, for one, am happier with the result than I think I would have been with a single novel focussed just on William. Both are released by Penmore Press. Absolutely fascinating, Matt. Such an interesting process you’ve been through and particularly to hear how your narrative and characters riffed off each other. I have huge respect for you both for actually pulling this off. Really looking forward to getting to this on my TBR pile!